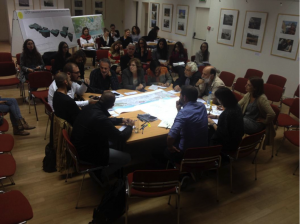 Throughout last year a diverse, energetic, inspired team has worked hard to develop an online platform that can help a broad audience across the divide to imagine Famagusta, the day after a political settlement. And now we would like to share this platform with you! 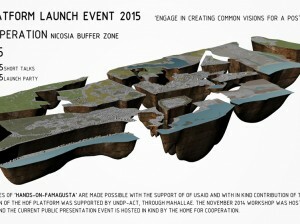 Join us on May 27th at the Home for Cooperation, Nicosia Buffer Zone to see our platform live, share your first impressions with us, and help us spread the word! 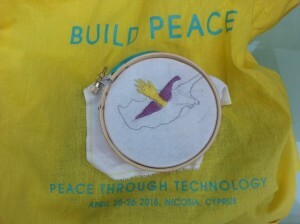 Socrates Stratis, Assistant Professor, Department of Architecture, University of Cyprus and Esra Can Akbil, architect and PhD Candidate, gave a Keynote speech at the international conference Build Peace 2015 organized by the United Nations in Nicosia Cyprus on the 25th of April 2015. The Keynote Speech at Build Peace conference was given to an amazing audience of more than 200 peace builders from all around the world!